Here is a great idea to keep your magazines tidy and in order. Take a look at this how-to video of creating this easy magazine wall display. 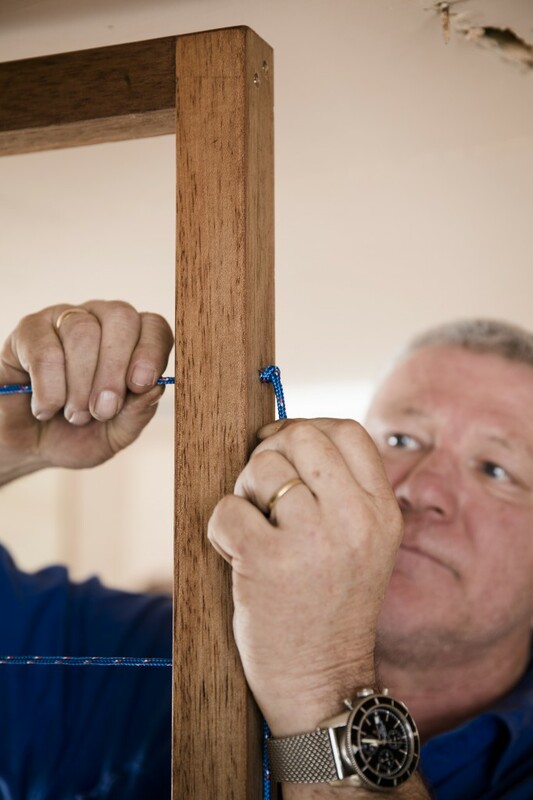 The pictures below also show how simple it is to create this timber frame and then to add the rope – drill, thread, knot and its ready to go. 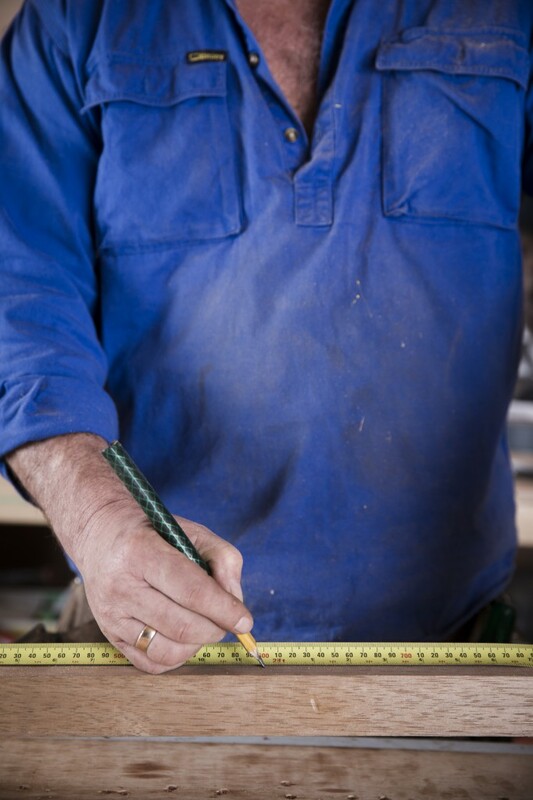 Measure and mark 600mm (or find the centre) on one 1.2m timber length. 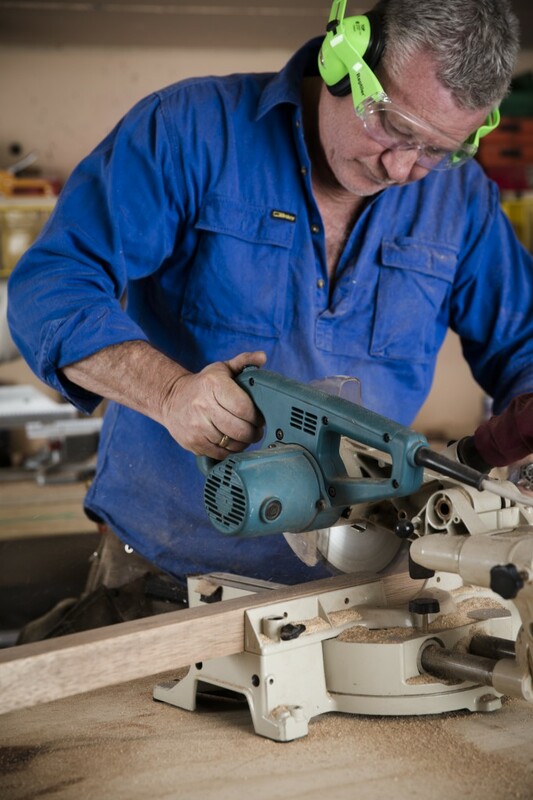 Cut the timber using a drop saw (a handsaw will also get the job done). This will give you two 600mm lengths – these will be the top and bottom of the frame. 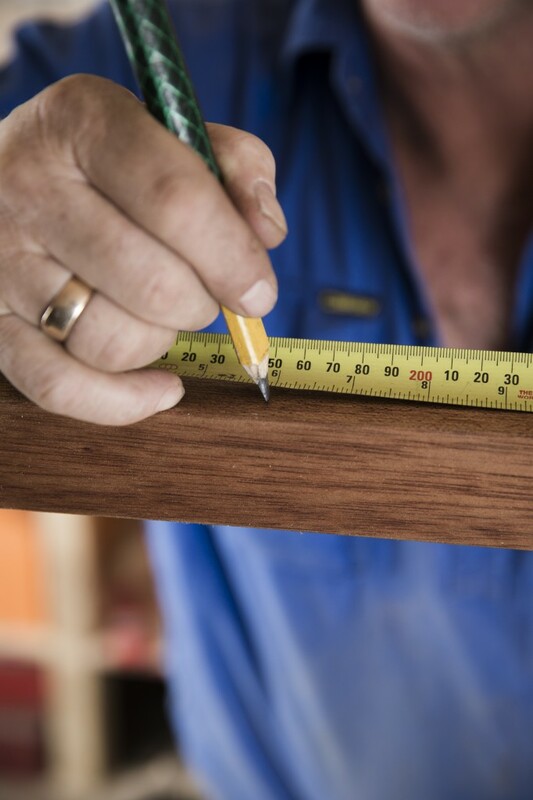 Measure and mark the thickness of the timber on both ends of the second 1.2m length. 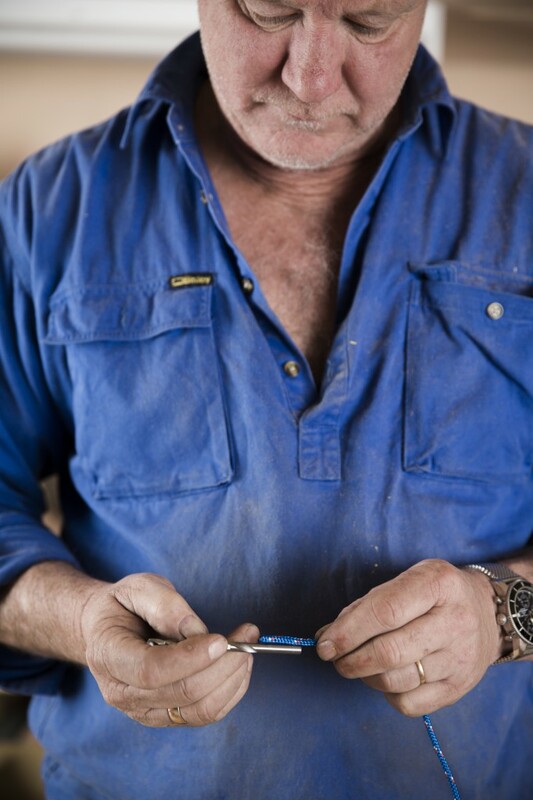 This will make sure you don’t go too close to the edges when drilling. Repeat process on second 1.2m length. 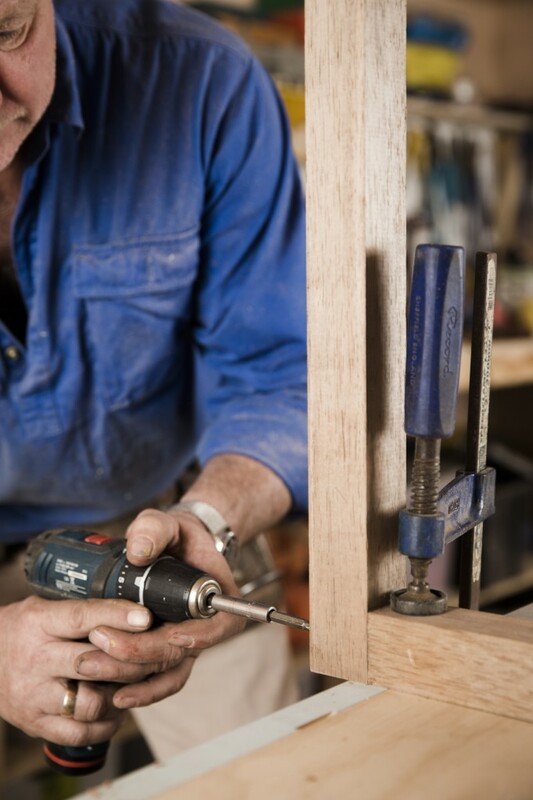 Find the centre of the traced-out square on one end of the 1.2m timber and use a drill and drill bit to make two holes on either side of the centre point, about 1cm apart. Repeat on all four ends. 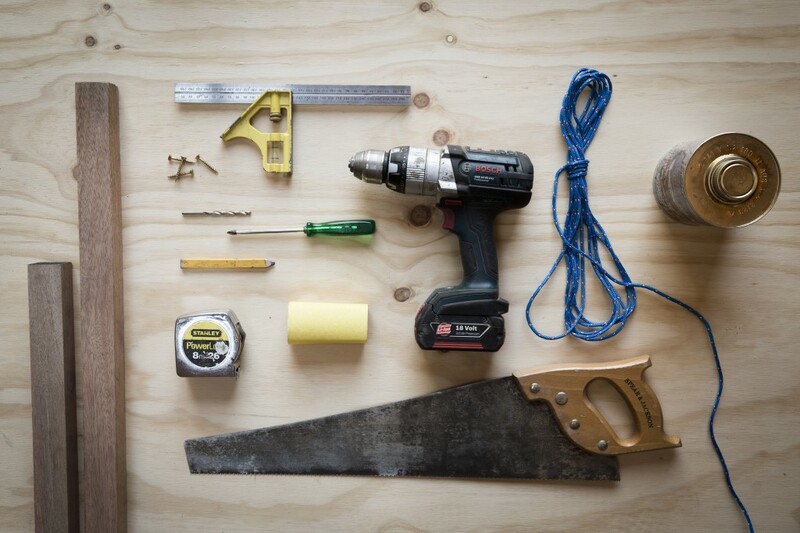 Make sure the holes are slightly bigger than the screw, so the screw has room to move. Clamp bottom timber (600mm length) on table. 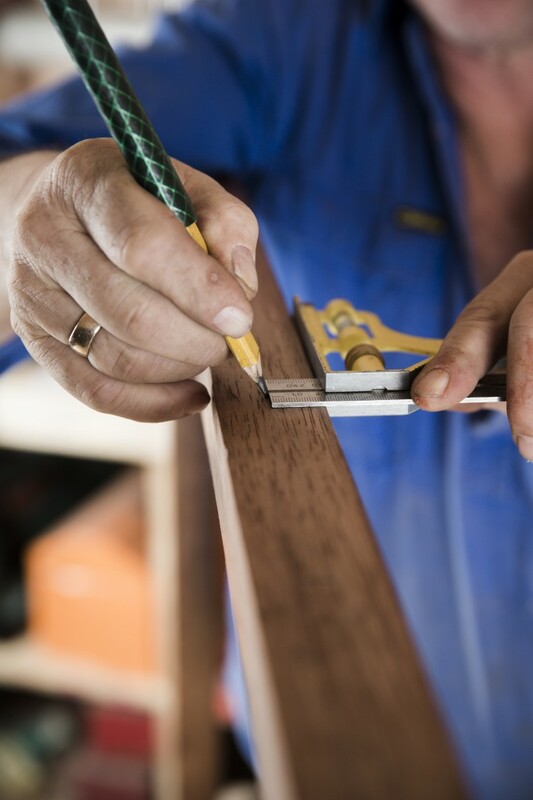 Insert screws into the 1.2m-timber holes and align timber and screws on the side of the 600mm length, creating a corner, and screw in place. Repeat process on all four sides, forming a frame. Sand frame well and give it a stain. Leave to dry. Measure and mark 150mm in one of the 1.2m sides, starting from the corner. Then from the first 150mm mark, measure and mark another 150mm space this process until you have six marks and a 150mm space between each. Repeat process on the other 1.2m side. Measure and mark 21mm in at each 150mm point using a combination square. 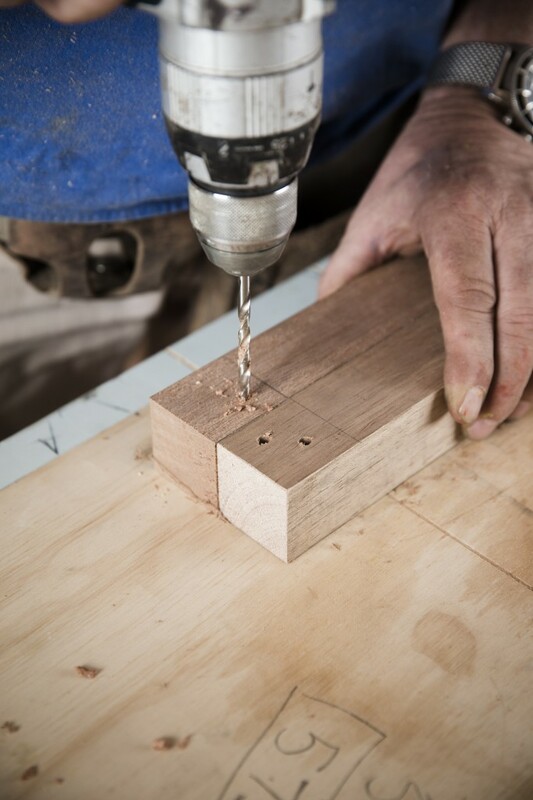 This will give you the exact centre point, so you drill in the centre of the timber. Using a drill and a drill bit that is slightly bigger than the rope, drill holes going all the way through each mark. You should now have 12 holes, six on either side. 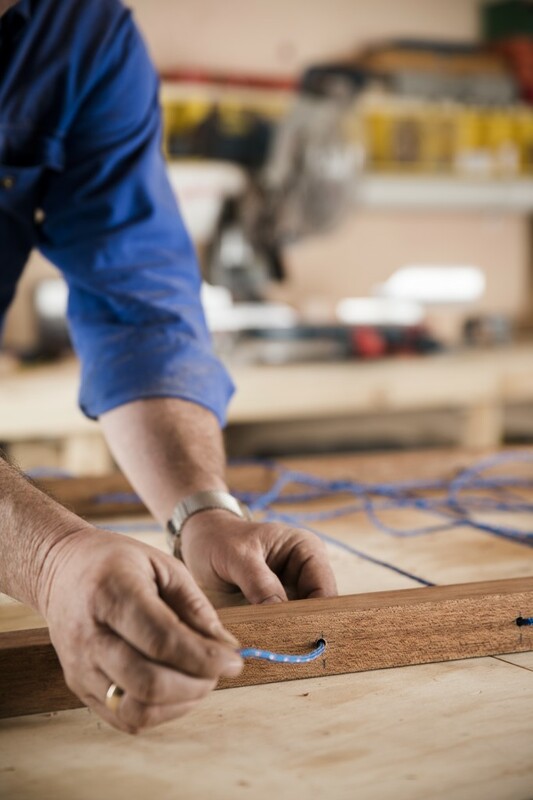 Thread the rope through the holes, cut off excess rope and tie a knot on the ends, making sure the rope is as tight as possible so the string stays in place. This entry was posted in Blog, Do-It-Yourself and tagged DIY, Do it Yourself, How To Video, magazine rack, Make it yourself, scotty cam, timber, tools on 05/02/2017 by Scotty Cam.